It’s been hard to escape the phrase ‘content marketing strategy’ in recent years. It doesn’t matter whether you work in Finance, Marketing, IT or Sales, you’ve no doubt heard about the virtues of content marketing and perhaps even that it will make advertising as we know it redundant. 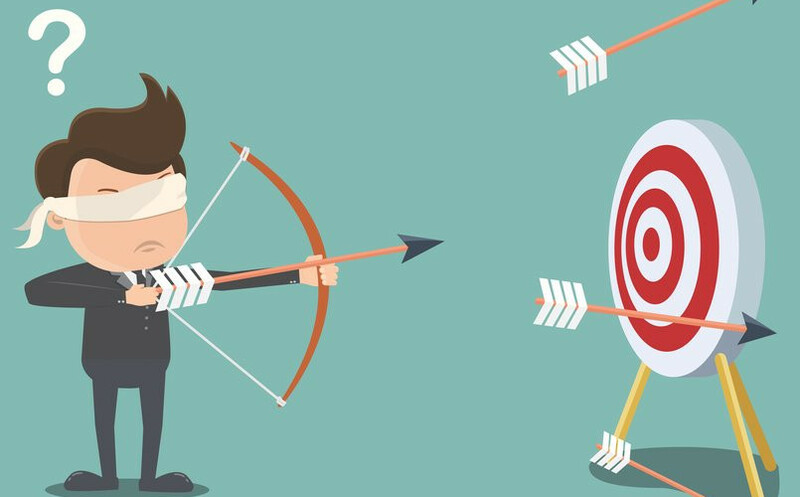 There are thousands of blogs, podcasts, videos and popup ads all pushing businesses to develop and implement their own content marketing strategy…yet many of the businesses that are trying it are not getting the results they hoped for. At High Profile Enterprises we’’ve been lucky enough to see some real content marketing success stories with our own clients, but we’ve also seen some businesses throw time and resources away by jumping quickly onto the content marketing bandwagon. These failures are often caused, I think, by a lack of strategy. They don’t stop to ask why are we doing this? What are the business objectives? How long will we stick at it? Who is in charge and what are the must dos? Instead, they read a few social media posts, download a few Marketo presentations, drink a few too many coffees and away they go. What follows next are a few critical mistakes that lead to poor results and the unfair conclusion that content marketing is a waste of time. But it’s not that content marketing doesn’t work, it’s just that they didn’t do it right. So if you’re thinking of getting underway with your own campaign, let’s take a look at these key mistakes now, in the hope that you can avoid them and give your business every chance of success. And when I say success I mean business results such as sales, not just a few likes and shares! No matter how interesting your articles are and how many people they draw to your website, if you choose a topic that has little relevance to your products or services, you’ll be wasting your time. If for example, your business is selling cameras and equipment, you need to think what potential customers would be interested in reading about, what they might be searching for, and choose topics that could attract them to your website. While you might have a burning desire to write a magazine style article on a trip you did to New York, a review of your favourite cafes, or a breakdown of your vintage camera collection, stop and ask yourself if those topics will bring the right audience from Google? It’s much smarter to think about the ‘persona’ of your top customers first and what they are interested in. This might lead to articles about the latest equipment, “how to” guides on caring for your camera, photography events in your physical location etc. The right topics won’t just bring in traffic, they’ll bring in your target market who are more likely to become customers. Think about the businesses whose content you enjoy online – no doubt the articles are well written, substantial pieces. What about the videos, good quality sound and well edited? Probably. To enjoy success with content marketing you have to put out quality. There is no point in flooding the internet with thin, poorly executed crap. If you’ve been expecting results from 350 word articles that haven’t been proofread and have blurry images, think again. What do those amateur pieces say about your brand? As you’re probably well aware, search engines like Google rely on a huge number of factors to classify webpages and rank them for the keyword phrases people are searching for. But however complicated search engine rankings might be, a big part of those rankings is based on the keywords they find on your website and in your content. If you write an article all about say ‘real estate in New Plymouth’ and you want people to find that article in Google, then you must optimise for those keywords. Too often businesses forget this important step and fail to put keywords in the important places, the page title, description, headings and throughout the article itself. If you’ve gone to the trouble of writing an article, don’t leave off this last step, it only takes a few minutes. Install an SEO plugin such as Yoast SEO, and make sure every post gets the green light! Once a blog post has been published or a video or podcast has been uploaded, your work isn’t done yet. It’s time to share that material on social media, not only to get your target markets reading it and hopefully engaging with your business, but also to send positive social signals out about your content. These social signals also help boost the rankings of your content in Google. It’s good practice to share your content on your business’s social accounts, Facebook, Twitter, Instagram, LinkedIn etc. Make sure your website has OG tags working because this will make the shared content look good on social media, with an image of your choice, a quality heading and description to entice clicks. Make this sharing part of your publishing routine, it doesn’t take much time at all. Once readers finish reading your post, this is a great time to capture their attention, yet many businesses only have blank space below their posts or no mention of their website, links, services at the end of their videos. If you’re writing a blog post make sure you mention and link to a relevant product or service at the end. Or have a newsletter signup with a compelling offer so that you can turn one time visitors into repeat visitors. That way you’ll have more chance of building a relationship and turning them into customers. On any videos you produce, add buttons at the end that link to your website pages, and add your website address to the video and add any relevant links in the video description too. We’ve seen from our own clients that content marketing works, but it takes persistence and commitment. Some of our client’s top articles will bring in thousands of visitors on their own, year after year, and these visitors do turn into customers. Imagine what happens when you post 150 blog articles per year and have dozens of posts that bring in this kind of traffic to your website! Sign up to our email service (spam free) for future posts from the team at High Profile Enterprises. 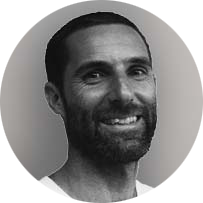 Andrew splits his time between helping the clients of High Profile Enterprises and running his surf school in Raglan. His experience running his own business means he understands what clients are looking for when they come to High Profile Enterprises for help, and also what they need to do with their online efforts if they want to succeed at getting found, and then converting visitors into customers. When he can get away from the keyboard you’ll find him attached to a surfboard in the wild west coast waves! That is when he isn’t enjoying Whanau time with his Wife and young daughters, or wandering off for a quick coffee. What value can a virtual assistant bring to your business?